Cleveland Indians right-hander Jefry Rodriguez pitched well in a 6-2 win over the Marlins on Wednesday. Rodriguez held Miami to one run over seven innings while striking out three. 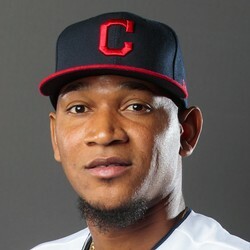 Rodriguez has shown well in his two starts for the Indians, allowing just three runs in 12 2/3 innings of work. If he sticks in the big league rotation, he is on the radar as a steaming option.